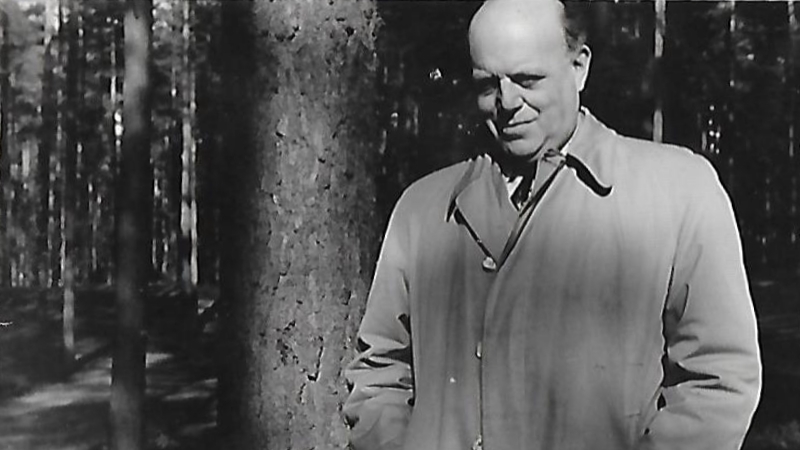 Ernst Marcus, a Berlin lawyer, woke up in his apartment in the German capital’s Grunewald quarter on November 9th, 1938, exactly eighty years ago. What he saw was unbelievable. “All of a sudden, the winter sky over Berlin was blood-red”, Marcus wrote. His account of the events during the Reichspogromnacht, written in German, is part of the archive at Yad Vashem, the official memorial to the victims of the Holocaust in Israel. The news that even the “unremarkable private synagogue in the neighborhood” had been set on fire reached him that morning. He was also told that the police and fire brigade were just watching, without trying to extinguish the flames. Once he sat at his office desk, Dr. Marcus, who was then 39 years old, received several phone calls. Upset colleagues told him there was hardly any contact to the Nazi government and asked him to try to talk to people at the Reich‘s Foreign Ministry. At Hitler’s Foreign Ministry, Marcus knew one diplomat he trusted. His name was Werner Otto von Hentig. In order to make sure he would not be arrested by the Gestapo before reaching the ministry, the lawyer decided to announce his visit by calling von Hentig’s office from a payphone. Ernst Marcus’ account says, von Hentig had been surrounded by “young attachés” that morning who condemned the attacks as well. “I am embarrassed by my people”, Werner Otto von Hentig said on November 10th, 1938. According to Ernst Marcus, the Gestapo and the ministry knew about von Hentig’s political opinions. But they needed an experienced diplomat like him who was an Orient expert and spoke important languages. So they did not persecute him. That same morning, von Hentig agreed with Dr. Marcus that a march of Jewish men, escorted by the SA, which Goebbels was planning, had to be prevented. So, the diplomat called a colleague who did not want to get involved and recommended that same approach to the caller. He tried to convince other colleagues, without success. Another aspect which might be surprising is the fact that Goebbel’s march through Berlin was indeed cancelled, due to the intervention of Ernst Marcus and Werner Otto von Hentig, who had managed to speak to some other people in high positions after all. On top of that, individual action against Jews during the days after Reichspogromnacht was prohibited. Ernst Marcus was arrested by the Gestapo only days after those events he described in his account. He was taken to the Sachsenhausen concentration camp, where he stayed for only five days, thanks to Otto Werner von Hentig, who managed to get him out of there. The two friends used their influence to get other Jews out as well. A few weeks later, Dr. Marcus and his wife Irene left Nazi Germany and settled in what was then Palestine. After the war and their divorce, he returned to Germany, where he became executive director of the Hamburg Symphonic Orchestra. During one week, from November 7th to 13th, 1938, as many as 400 Jews were murdered. Thousands of businesses and apartments owned by Jews were destroyed. 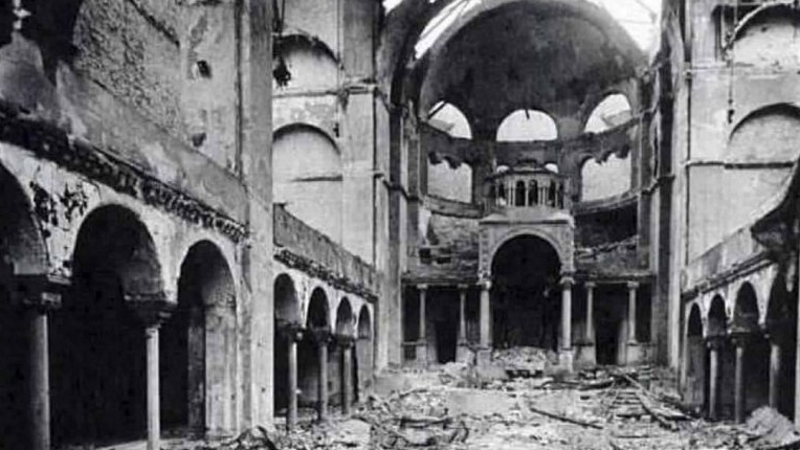 Over 1,400 synagogues and other Jewish facilities were burned down while tens of thousands of Jews were brought to concentration camps. This was the time when the discrimination of Jews turned into their murder. When the winter sky over Berlin was blood-red, many could not believe what they saw. When things got even worse, only very few tried to prevent it. Hitler’s “willing executioners” (Goldhagen) could do what they intended to do. Six million Jews were murdered, along with hundreds of thousands of Gypsies, homosexuals and politicians. Several members of Irene Baum’s (formerly Marcus, maiden name Wilhelmi) family were murdered in the Holocaust as well. The Reichspogromnacht, also known as the Night of Broken Glass, was not the first brutal outburst of antisemitism. Years earlier, in 1931, Nazis organized the Riot on Kurfürstendamm in Berlin, during which hate crimes of an antisemitic nature took place. There were many more all over Germany. Note: Ernst Marcus (1900-1973) was the author’s grandfather. 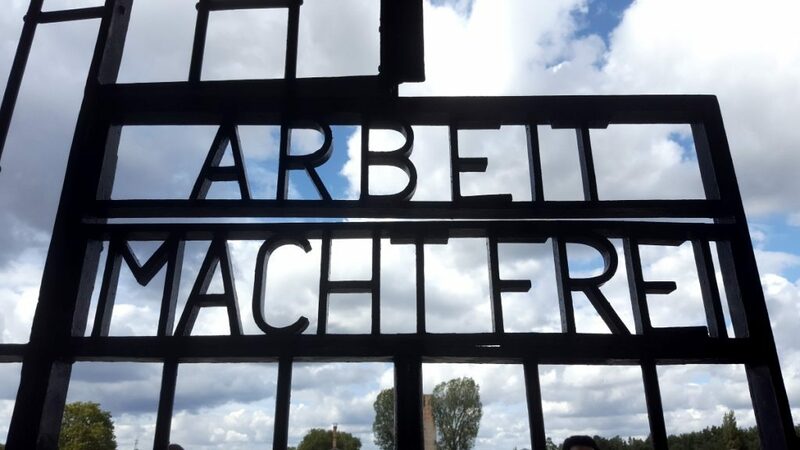 Information from the Russian State Military Archive and by his own account, he was in the Sachsenhausen concentration camp from November 13th until November 18th, 2018, for being a Jew. He was granted a temporary release, thanks to his diplomat friends, which was turned into a discharge on December 2nd, 1938.